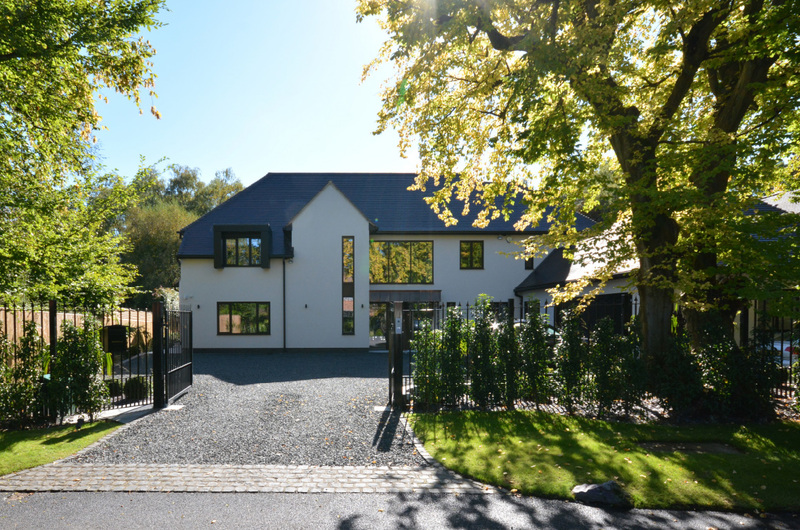 A new modern family home. 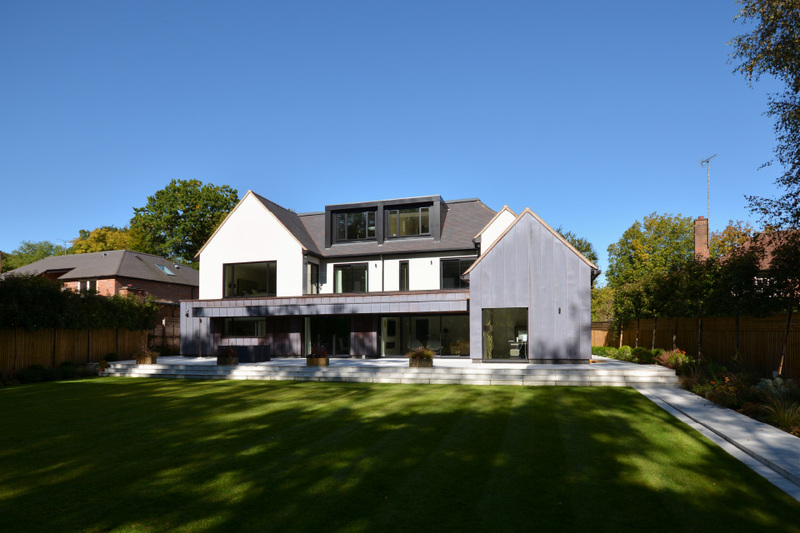 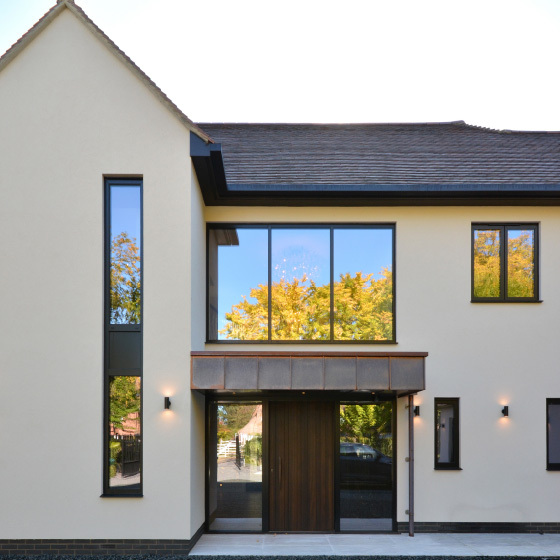 This new home for a private client was conceived as a contemporary interpretation of an Arts & Crafts style house, employing well-recognised architectural elements, such as gable, dormer and pitched roof, coupled with generous areas of glazing. 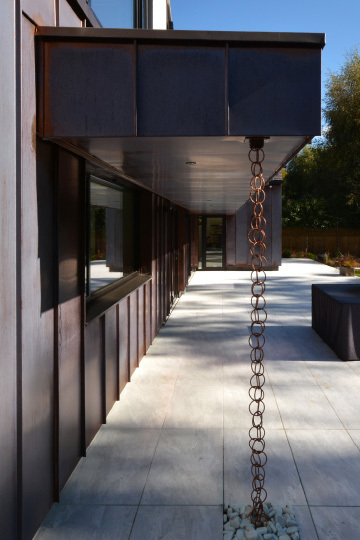 The materials palette is limited to clay tile, render and pre-patinated copper cladding; the copper elements visually link the front and rear elevations, providing a hint of what is to come as one progresses through the building. 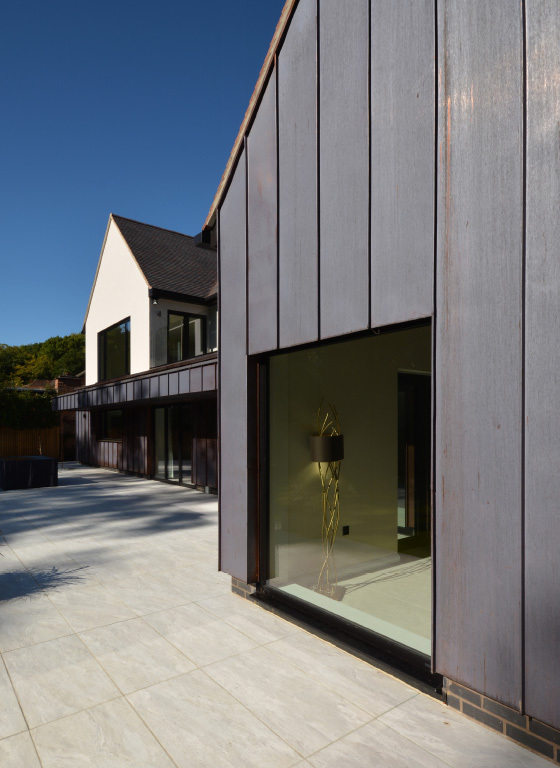 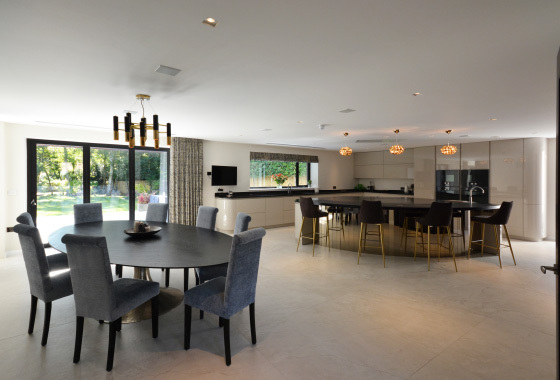 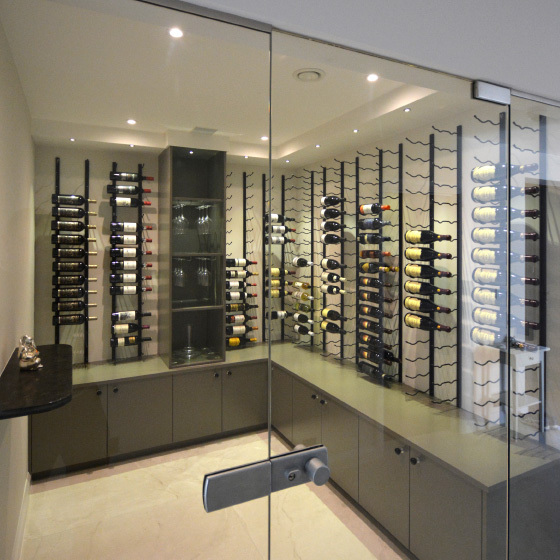 A sense of transparency features throughout the interior, with the front entrance hall providing views through to the rear garden and woods beyond. 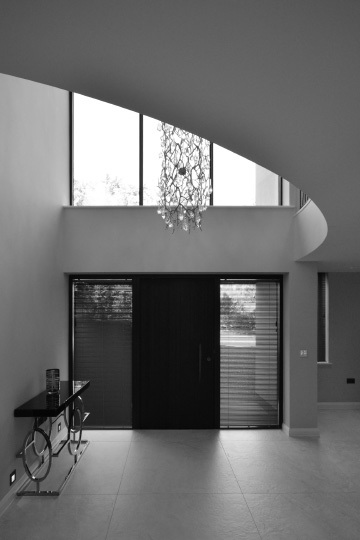 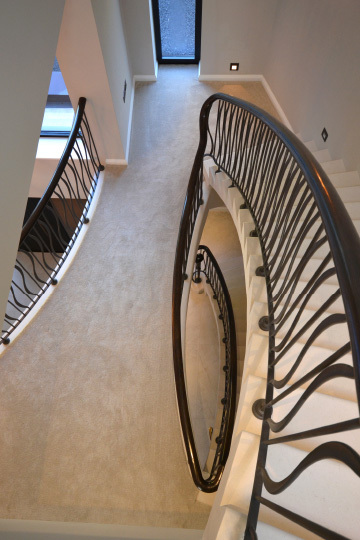 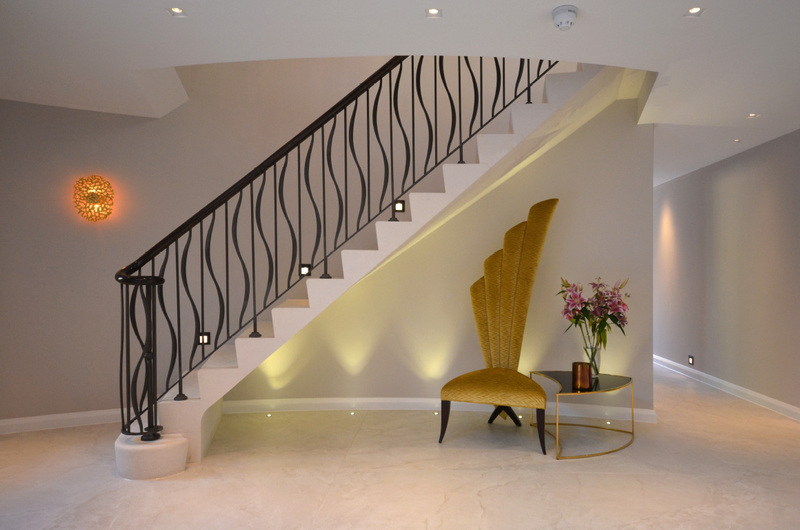 The entrance hall is double height and incorporates a gently curving feature staircase and sculpted, galleried landing.